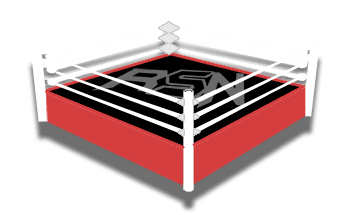 Welcome to Ringside News’ coverage of WWE Raw for March 25, 2019! Today we got the unsurprising, yet nonetheless awesome, news that Ronda Rousey Vs. Becky Lynch Vs. Charlotte Flair would main event WrestleMania in less than three weeks. As for tonight, WWE is teasing repercussions for Ronda and her husband, Travis Browne, after attacking officials last week. Elsewhere tonight, Kurt Angle’s farewell tour rolls on as he faces the United States Champion from SmackDown Live: Samoa Joe. Obviously, Angle and Joe have a storied history from their time together in TNA and it will be great to see them mix it up one last time. Tomorrow night, Angle moves on to SmackDown Live, where he will face another former TNA frenemy, AJ Styles. While Angle’s abilities are severely limited these days, this farewell tour has been a brilliant idea. Then there’s the continued story between Roman Reigns and Drew McIntyre. Last week McIntyre challenged Reigns to a match at WrestleMania, and Reigns returns to Raw tonight to answer the call. Meanwhile it doesn’t seem that Brock Lesnar will be on the show at all tonight, so maybe Seth Rollins gets involved here. That’s the preview for tonight’s show. Let us know what you’re excited for by downloading the Ringside News app or following us on Instagram. Enjoy the show! WWE Raw opens with the announcers discussing the women’s Triple Threat match headlining WrestleMania. The Raw Women’s Champion then comes to the ring, and she will compete in a Beat The Clock Challenge tonight, as will Charlotte and Becky. Before Rousey speaks she is booed by the crowd. She reminds us what the main event of WrestleMania is going to be. Then says “you’re welcome”, and drops the mic. However she comes back and lifts the mic and says she promises she will tap them both out at the same time, then drops the mic again. She goes back and lifts it a third time, and says she doesn’t know what a Beat The Clock Challenge is, but it sounds like another dumb gimmick we have around here. The Riott Squad make their way to the ring for the Challenge, then Becky Lynch comes out, as her match will be second. Lynch says it’s good to be back in Boston, and tells Ronda to “stop being a little weirdo”. She says Ronda was given a huge contract and given every opportunity, but nobody gave a damn until the man came around. Lynch says she saved Ronda’s title run and that she’s the reason they are the main event of WrestleMania. Then she guarantees that WrestleMania will end with her holding the title and Rousey’s skull beneath her boot. Charlotte Flair is out last and she says “blah blah blah blah blah”. Yes the women are the main event, but not because of Ronda and Becky have been doing for the past six months. It’s because of what she’s been doing for the last seven years, which is why she was handpicked to be the main event. The bell rings and Sarah Logan slides outside but Ronda chases her around. They do another lap of the ring and Ronda knocks both Ruby and Liv over. Logan dropkicks Ronda as they attempt to get back into the ring. Logan whips Ronda into the ropes, then applies a modified Texas cloverleaf. We’re a minute into the match and Ronda uses the ropes to pull herself up off the mat and apply an armbar. The referee forces the break with the five count. Ronda connects with a Superman punch to Logan, then applies the armbar for the win. Ronda leaves as soon as her match ends. However she stops on the stage to watch the next match. The match begins and Rubt kicks Charlotte from the ring. Charlotte comes back in and starts attacking Ruby but is kicked back out and she’s getting frustrated. Charlotte tries to hit Ruby with Natural Selection but Riott dodged it. Riott tries to keep Charlotte grounded but Charlotte knocks her down and applies the Figure Eight with 8 seconds left….but Ruby holds out! Becky Lynch gets in the ring for her match but Charlotte Flair floors her with a big boot. Liv Morgan gets in the room anyway and implores the referee to start the match. The bell rings and Liv attacks Becky in the corner. She stomps the Lasskicker down before applying a sleeper hold. Becky fights to her feet and looks for the Dis-Arm-Her but Liv kicks Becky off and into the turnbuckles. Liv looks to hit Becky with a move, but she tips her over and pins her for the win! Lynch wins the Beat The Clock Challenge by 7 seconds. After the match Lynch and Rousey talk trash to each other from the ring to the ramp. We see Finn Balor warming-up backstage, he’ll have a match after the break. Lashley starts and forces Balor into the corner. Lashley maintains control with right hands, but Finn dodges him running into the corner. Balor starts to mount a comeback and hits Mahal from the apron, but the Singh Brothers distract him and Lashley knocks Finn from the apron to the floor. We return to see Balor shoulder tackled repeatedly in the corner by Lashley. Finn fires back with a sling blade that Bobby didn’t sell properly, then tags out. Balor manages to knock Jinder into Lashley and he goes off the apron. Balor shrugs off more distractions from the Singh Brothers and connects with a dive over the top, followed by a Coup de Grace to Mahal for the win! Balor has earned his title shot at WrestleMania and Lashley is irate. Bobby attacks the Singh’s after the match and stares down Balor on the ramp. We see a video of Elias in Times Square, practising his routine for WrestleMania. A guy approaches him with a guitar but Elias disparages him and New York. Back live, Aleister Black makes his way to the ring. Ricochet will join him for tag team action after the break. The match begins as soon as The Revival reach the ring as a big brawl breaks out. Eventually the match can begin after Scott Dawson was knocked from the ring. Dawson grabs Black’s foot from the outside, so Wilder can take control. Dawson forces Black to the corner and kicks him before settling down into a hammerlock. Black fights to his feet and tags Ricochet. They clear the ring, then Black feigns a dive to the outside, while Ricochet flips off of the turnbuckles from the apron to take out Dash. Dawson dodged that one but he gets caught by Black coming off the apron with double knees. We return to see Dawson grounding Ricochet with a submission but the one and only fights to his feet immediately. Dawson hits Ricochet with a scoop slam as he looked for a tag. Dawson misses two elbow drops to Ricochet, then Wilder tags in and they hit him with a double-team vertical suplex. The Revival try to keep Ricochet grounded with quick tags, but Ricochet catches Wilder with a neckbreaker and makes the tag to Black! Dawson also tags in but Aleister comes in hot. Black avoids a strike and knocks Wilder off the apron. Black hits a pair of running elbows and kicks Scott in the head. Black then hits both Dash and Dawson with a springboard moonsault and Wilder is knocked out of the ring. Black strikes Dawson with quick slaps and elbows for a near fall. Dawson quickly DDT’s Black, but Ricochet breaks it up. Wilder tags in, and he and Dawson send Black to his corner. Ricochet blind tags in, ducks them, and hits both members of The Revival with a single Black Mass! Ricochet then tags in and hits Wilder with the 630 for the win! Triple H will be here live tonight to talk about his upcoming match with Batista. Drew McIntyre makes his way to the ring. He’ll be looking for an answer from Roman Reigns after the break.